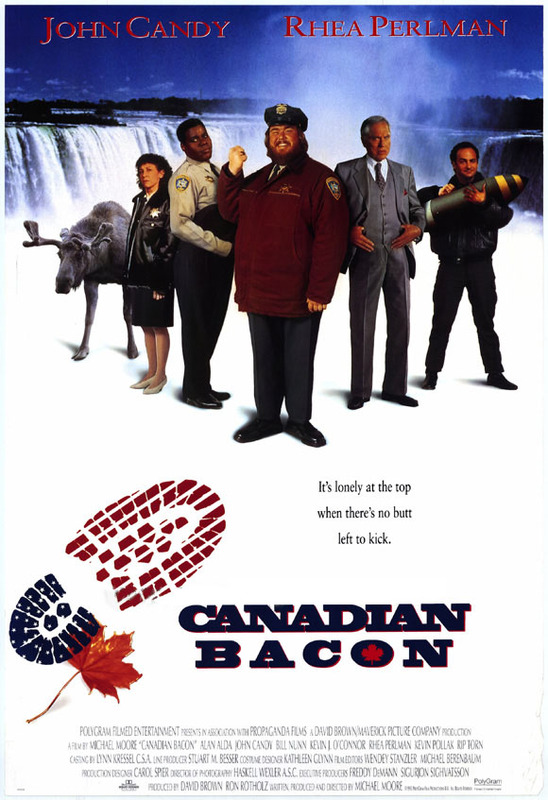 Michael Moore, the man behind the savagely amusing documentary “Roger and Me,” has written, produced and directed “Canadian Bacon,” starring John Candy. In the tradition of “Dr. Strangelove,” this satire skewers the federal government — which tries to manufacture a conflict with Canada ― and a gullible, combative public. It’s funny and full of good performances (Alan Alda, Rip Torn, Rhea Perlman, Kevin Pollak, Steven Wright), but runs out of gas.